The Roaring 20s has arguably been Bexhill’s premier event for the past four years. Last year, the Charleston challenge for the World Record had 1,086 participants. By contrast, from my position on the balcony of the De La Warr, I counted just 74 participants at the Great Gatsby Charleston Challenge this year – just seven per cent of last year’s total. The gated enclosure on the Metropole lawns, where an entrance fee of £5 or more was required, was very sparsely populated. At 3.30pm on Saturday, July 21, I counted just 100 attendees. At 4pm, I counted 120. Admittedly, there was a substantial crowd of people watching the very limited free of charge displays. But sadly, neither the richness of the entertainment nor the atmosphere of the Roaring 20s were present. This wasn’t even due to some money saving scheme by Rother Council. 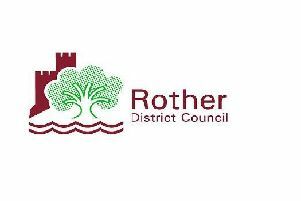 The Roaring 20s had received a £3,500 grant from Rother Council in its financial year 2015/16. This dropped to £3,000 in 2016/17 and to just £1,000 in 2017/18 (last year), causing the generous philanthropists, Alastair Hazell and Roger Crouch, to withdraw from this year’s event unless funding was restored. Yet this year’s Great Gatsby event received a £4,000 grant from Rother Council. Why? This was due to an existing Rother Policy of providing three years “pump priming” for new events before the grant is drastically reduced. This policy could have been changed at any time. Because of this flawed policy, which could easily have been changed by a vote by elected councillors, a world-class event, the Roaring 20s, was thrown away by the Rother Conservative Group. An Eastbourne equivalent would have consisted of that Borough choosing to sacrifice its air show. An alternative approach might have been for the event to be funded out of ‘Bexhill Special Expenses’, an element of Council Tax only paid by Bexhill residents. Shining Lights receives an annual grant of £13,000 from ‘Bexhill Special Expenses’ to help fund the Christmas Tree in Devonshire Square and the Bexhill Christmas Lights. This works out at 80 pence per year (or 1.5 pence per week) for a band D Council taxpayer in Bexhill. If the Roaring 20s were to be funded by Rother next year out of ‘Bexhill Special Expenses’ at the same level of funding as the Great Gatsby was this year, it would cost a band D Council taxpayer resident in Bexhill just 25 pence per year (or half a penny per week). A Bexhill Town Council could certainly have rescued this world-class event at a cost of half a penny per week for a band D Council taxpayer resident in Bexhill. However, the majority of the existing Rother District Councillors chose to ignore the verdict of 93.5 per cent of respondents to the Governance Review Consultation and deny Bexhill a Town Council. On Thursday, May 2, 2019, you will have the opportunity to vote for candidates that would set up a Town Council for Bexhill.